The boat parade will start off Bay Island at 6:30 nightly and end in the same location at about 9 p.m. The parade is expected to attract a total of nearly 1 million spectators. Boaters have until noon Dec. 12 to register their vessels for the parade. The entry fee is $25. Many of the boats will be decorated with animated holiday scenes, accompanied by music and costumed carolers. The vessels will wind their way 14 miles around the harbor parade route. While many excellent shoreside viewing locations are available — including the Fun Zone — the best parade views are enjoyed on the water, from a boat. Fireworks will be launched from the Balboa Pier at 9 on the final night of the boat parade, to close out the event. The pyrotechnic display will be visible throughout the harbor. Event organizers encouraged spectators to arrive early and allow extra time for traveling area roads, as traffic congestion during this event is another annual tradition. All city parking lots will be open throughout the parade. In addition to hosting the Newport Beach Christmas Boat Parade, the Commodores Club hosts a shoreside decorating contest: the Ring of Lights. Decorated bayside homes and businesses surrounding the harbor will show off their own holiday spirit, featuring everything from traditional seasonal decor to music-coordinated light shows and dancing Christmas trees. With its own judged categories and prizes, the Ring of Lights has grown in popularity each year. Registration is free and must be completed by noon Dec. 10. 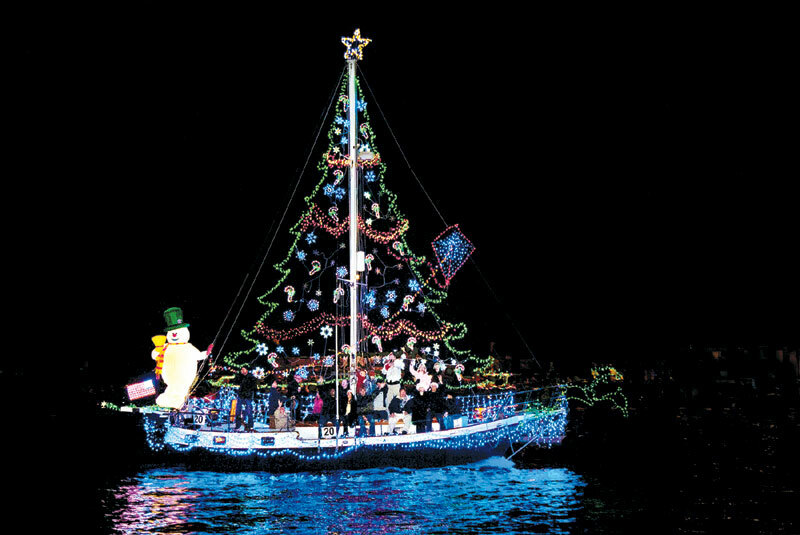 Winners of both the Christmas Boat Parade and the Ring of Lights competitions will be feted at the annual awards dinner and auction, Jan. 27, 2012 at the Balboa Bay Club. The event is open to the public and will include live entertainment, dancing and both live and silent auctions. For registration forms or for more information, call the Newport Beach Chamber of Commerce at (949) 729-4400 or visit christmasboatparade.com.